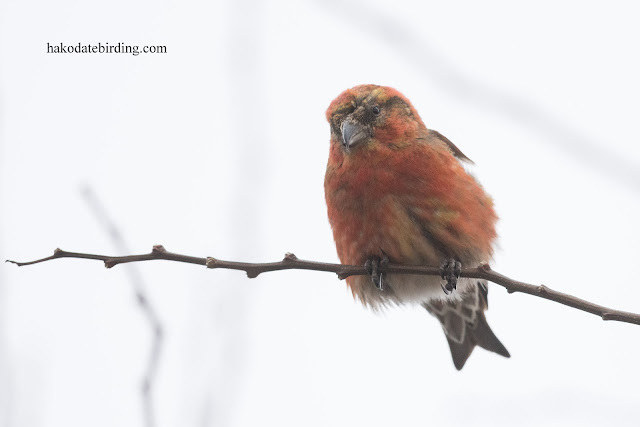 Still, there were a few birds about in the rain. 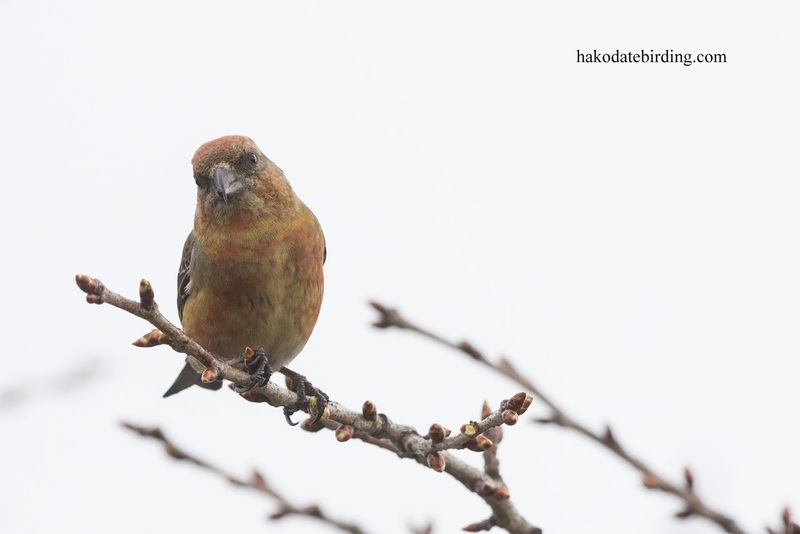 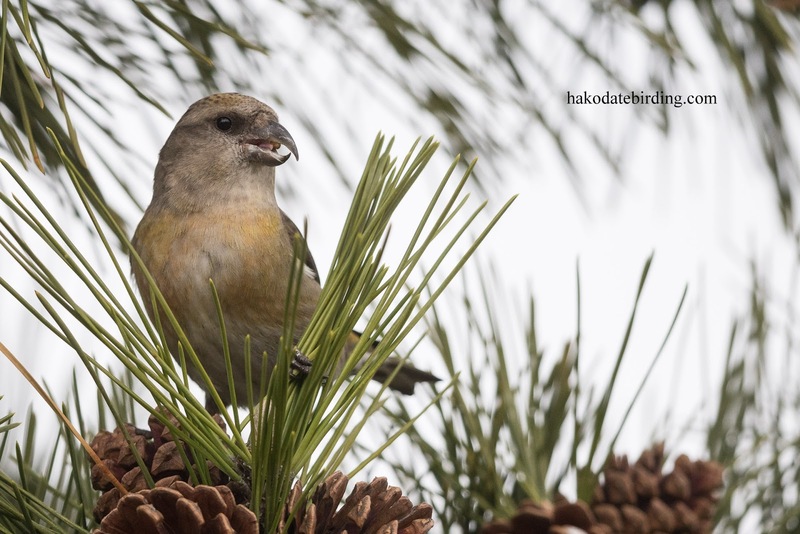 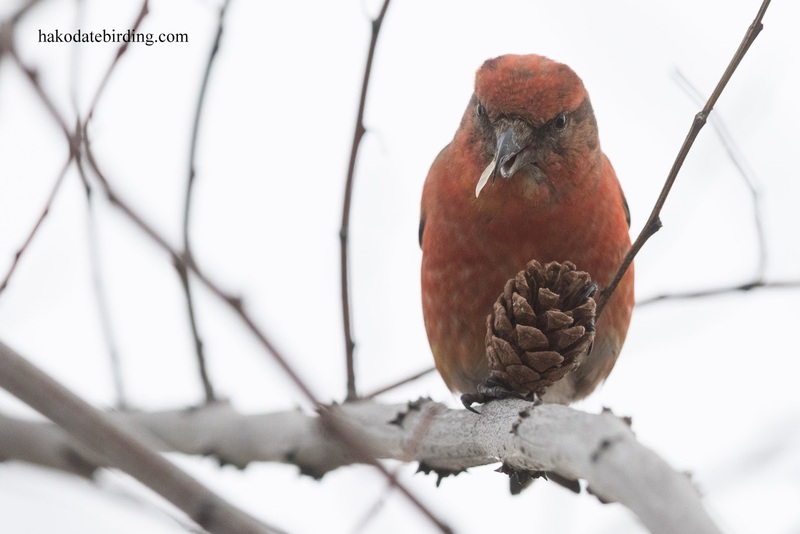 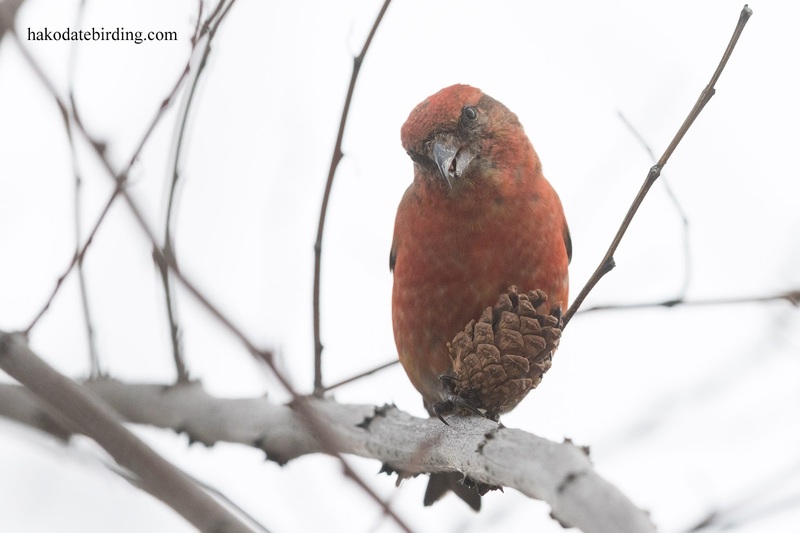 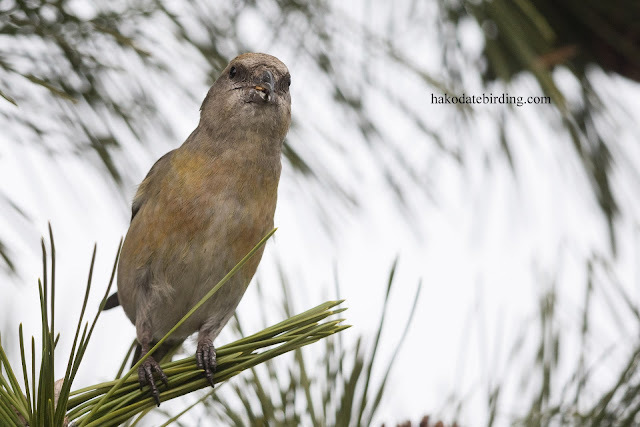 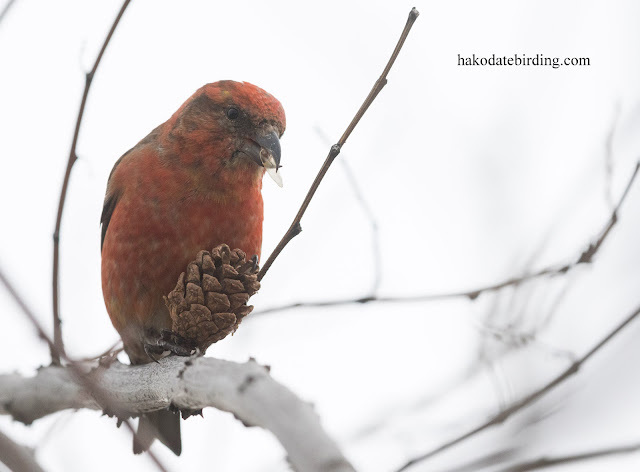 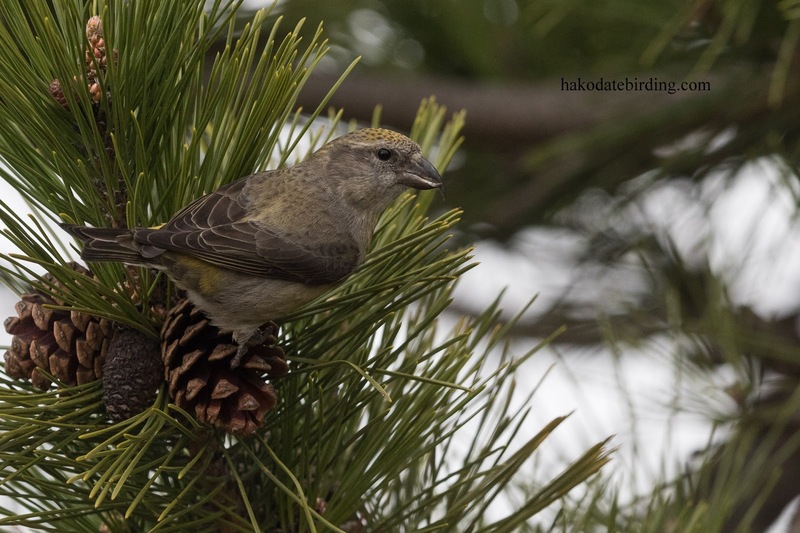 A flock of Crossbill was near Kamiiso. 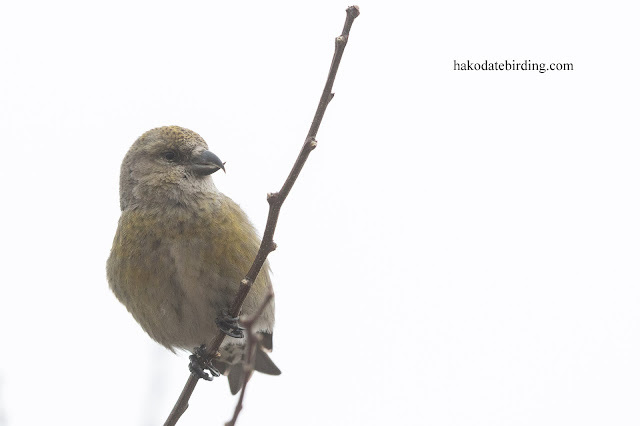 They were a bit flighty and only fed in someone's yard so I couldn't get any good pictures of them at eye level (even if it hadn't been so wet and dark). 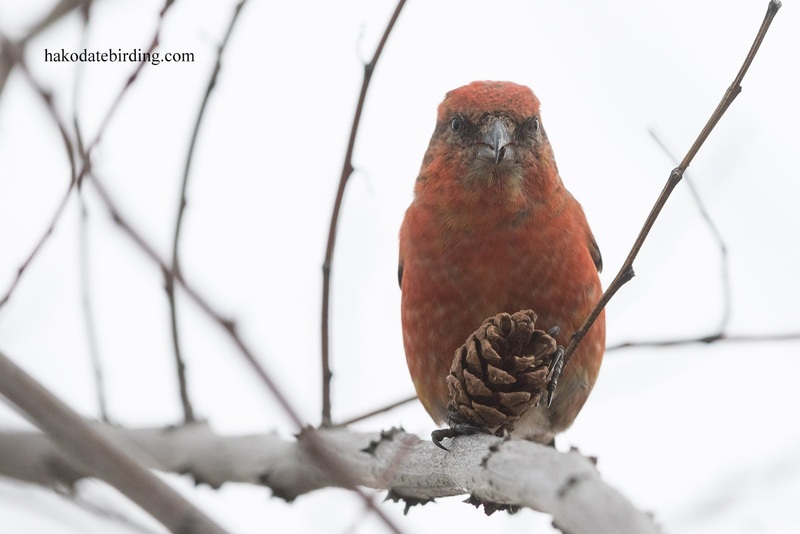 That kind of encounter with crossbills would make any day special. 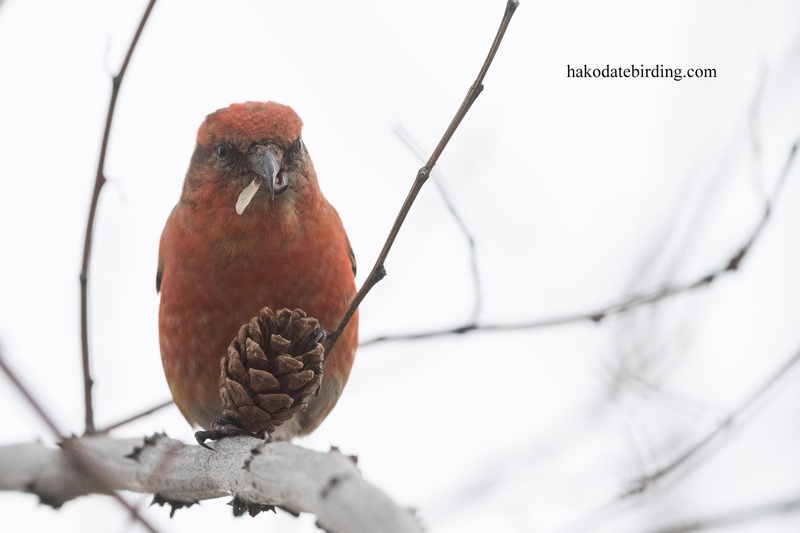 I'm surprised you don't see loads of them where you are in Canada?